The all-new Hyundai Santro’s arch-rivals are available in adventure variants, and they 'look' packaged better for coping with rough terrains. 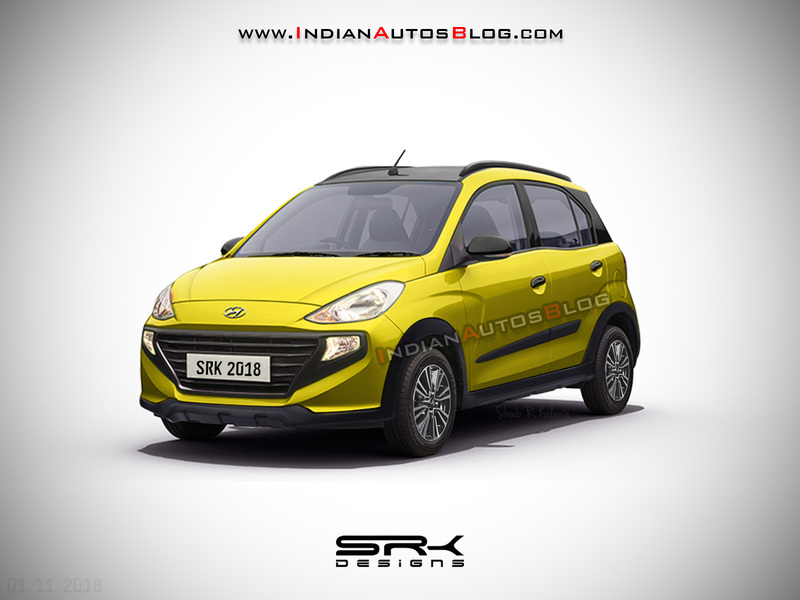 As Hyundai is not opposed to variant extensions, here we propose the Hyundai Santro Cross that may become reality. The potential Hyundai Santro Cross would compete with the Tata Tiago NRG and the Maruti Celerio X.
IAB’s illustrator Shoeb Kalania has created a rendering of a potential Hyundai Santro Cross with a light dose of SUV-inspired styling. The tougher variant of the new hatchback features underbody cladding, wheel arch cladding, blacked-out front grille, black integrated roof rails, black door handles, side moulding, black mirrors, unique alloy wheels and black roof. The Hyundai Santro Cross could offer higher ground clearance and softer suspension setup to make driving on poor/broken roads and gravel tracks and tackling bumps and potholes smoother. It could feature a funkier interior with a higher level of colour-coding, some additional utility features and an exclusive upholstery. While the standard Hyundai Santro is available in petrol and petrol-CNG models, the Cross variant could come in only the petrol model. The petrol model uses a 1.1-litre naturally aspirated four-cylinder engine that produces 69 PS at 5,500 rpm and 10.1 kg.m (99.05 Nm) of torque at 4,500 rpm. Transmission choices could include 5-speed manual and 5-speed Smart Auto automated manual. Hyundai aims to sell no more than 10,000 units of the Santro a month. 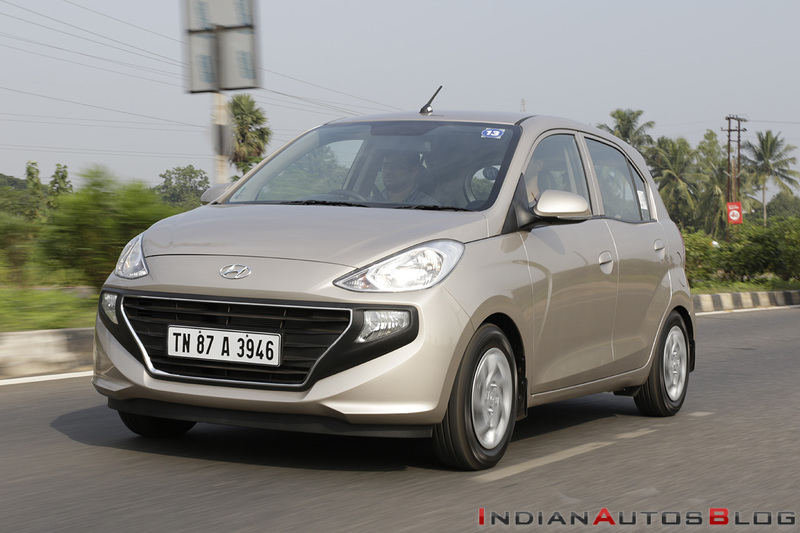 The Hyundai Santro Cross could arrive once the standard variant is a year or two into its lifecycle, commanding a premium of around INR 30,000-40,000. The company hasn’t confirmed this or any other variant so far, though.